The ocean sunfish (Mola mola) is the heaviest known bony fish in the world. Adults typically weighs between 247 and 1,000 kg. The species is native to tropical and temperate waters around the globe. It resembles a fish head with a tail, and its main body is flattened laterally. Sunfish can be as tall as they are long when their dorsal and ventral fins are extended. 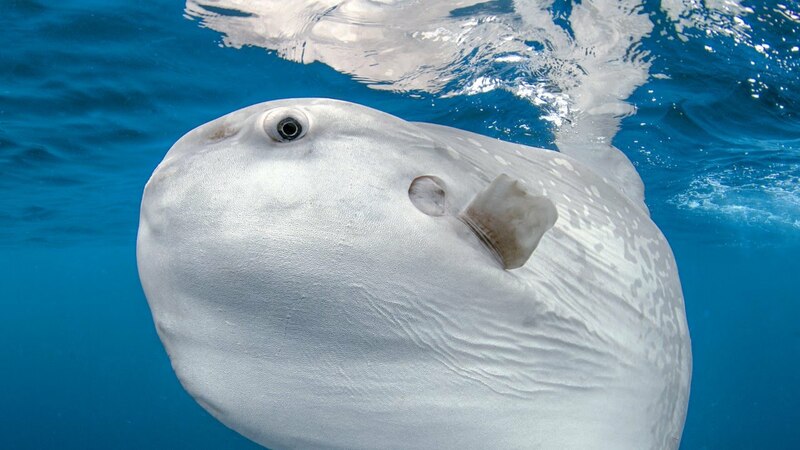 Sunfish live on a diet consisting mainly of sea jellies, but because this diet is nutritionally poor, they consume large amounts to develop and maintain their great bulk. Females of the species can produce more eggs than any other known vertebrate, up to 300,000,000 at a time. Sunfish fry resemble miniature pufferfish, with large pectoral fins, a tail fin, and body spines uncharacteristic of adult sunfish.